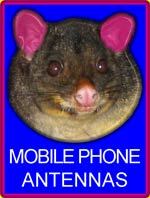 Sorry…out on the job installing quality RFI Antennas for Mobiles, Wireless Net and UHF CB Base Stations. 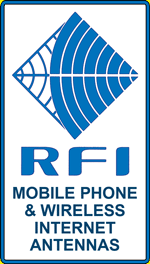 PinkTronix Is Proud To Be An Authorized RFI Antenna Dealer And Installer. 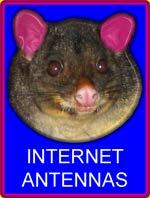 RFI is Australia’s leading antenna company with offices in all Australian capital cities, Europe and the Americas. RFI is the prime supplier for national Australian operators Telstra, Optus, Vodafone and Hutchison (Orange). RFI sets the benchmark on antenna tests, measurement parameters and performance. What you see in the spec sheet is what you will get in the field with an quality RFI antenna. Blood out of a Stone!! 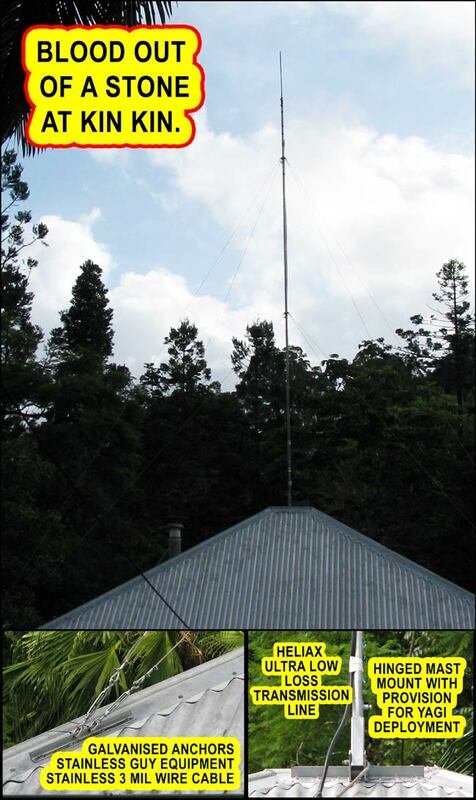 The illustration above shows a wireless internet antenna installation in a rugged marginal area, a valley with thick vegetation and surrounding hills. There was no 3G signal lock prior to antenna installation. A reliable 2 bars was achieved after installation of an RFI brand 6db Omni directional collinear antenna on a 6 metre mast. The antenna to modem connection is via RG58 patch leads and a longer 20 metre run of Andrews Heliax, an extremely low loss transmission line. The interior wiring terminated in the industry standard SMA female on a wall plate of the clients choice. Connection to modem or phone is via SMA ,FME or pigtail combination where required. The mast mount is custom built from galvanised steel. All welds receive several coats of zinc rich cold galvanising and are finished coated in durable weather proof epoxy paint. The hinged mount is fixed to the roof with a minimum of 5 screws. The mast is 1 inch structural galvanised steel pipe. 1 ¼ inch pipe may be used for the longer yagi antennas to avoid torsional flex in high winds. Stainless masting is available upon request. The mast is equipped with a lanyard at the first guy wire plate which can attach to a longer assembly rope. With the help of one assistant, the mast folds down easily in a controlled manner should service to antennae or transmission line be required. Very little force is required for this operation thus slightly built people will be suitable for providing assistance. The hinged mast design is particularly suited to the installation of the higher grade transmission lines which are bulky and extremely easy to destroy should the line be distorted beyond the specified bend radius. Guy wire stays to the roof are held in place with a minimum of 3 screws through galvanised angel iron. Guy wire is marine grade 3.2 mil 7x19 stainless wire rope swaged with nickel plated copper sleeves where practical. Wire rope grips are used where adjustment is required. Stainless turnbuckles, thimbles, D rings and wire rope grips are used throughout.